Dell XPS 14z Replacement Battery V79Y0 V79YO 14.8V 58Wh by Max Capacity """
High Quality Dell XPS 14z Replacement Battery by Max Capacity. Rates at 14.8V 58Wh. Our long lasting high quality replacement battery uses state of the art li-poly cells to achieve a power rating of 58Wh and has a service life up to 3 years. Fits Models: Dell XPS 14z Comaptible Battery Part Numbers: V79Y0 V79YO. *** Up to 3 year service life which is double the service life of other replacement batteries. 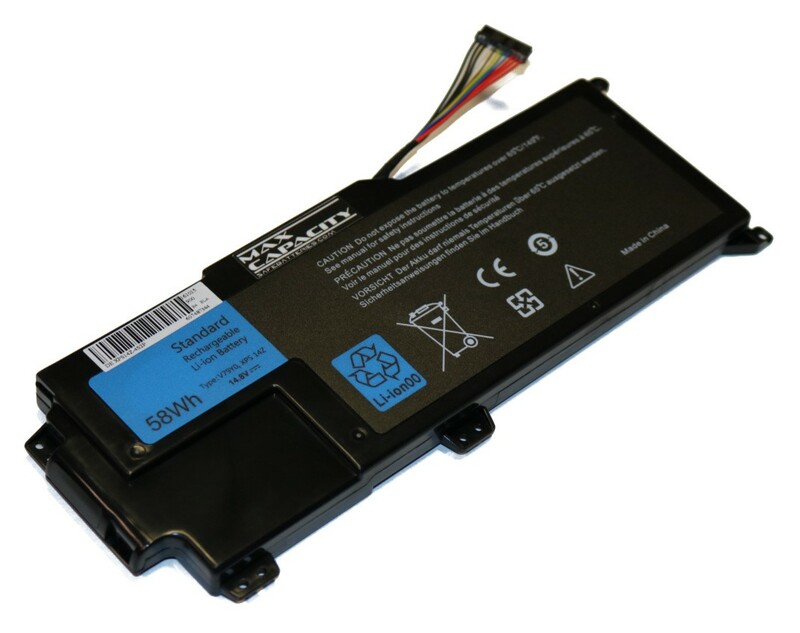 Max Capacity's long lasting Dell XPS 15z Replacement Battery is the best performing replacement battery made today! If you have been disappointed in the past then you need to try this battery. We exclusive use the best li-poly cells and technology.Want the best, the best is Max Capacity. Power On and Stay On! * See the 'Additional Information' Tab for specific model and part number compatibility. Max Capacity is committed to nd producing high-end, high performance laptop replacement batteries and adapters. We continually look for and implement li-poly cell advancements to produce the most advanced, safe and powerful li-poly batteries available. New technology combined with traditional IC power management makes our laptop batteries VERY safe. All of our Li-Poly batteries will meet or exceed manufactures specifications Our batteries are lighter in weight and maintain some of the highest energy capacity over the life of the product. More energy capacity equals longer run-times between charges. Our Li-ion Batteries Provide almost Double the Life Expectancy of traditional Li-Ion Battery Packs! Our NNP Technology increases the service life of the product dramatically versus other comparable Li-ion batteries. This means you wont need to replace our Max Capacity laptop batteries as frequently, thereby saving you money. 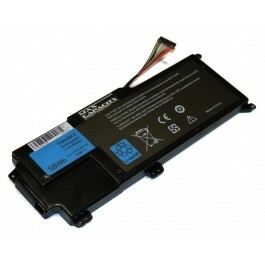 Max Capacity Laptop batteries excel in product safety while delivering ultra high capacities and extended product life! Oh, and we're affordable too! Power ON and Stay ON! Got it quickly, installed it and it works as expected.